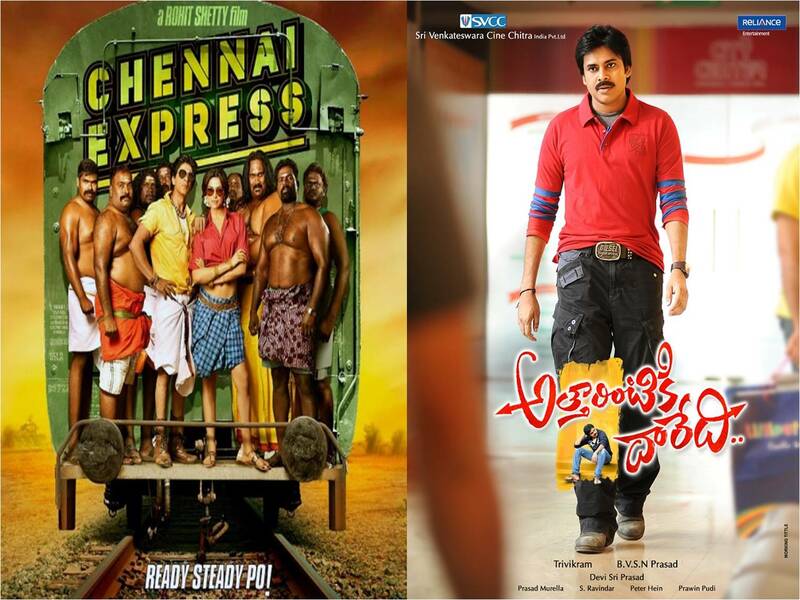 Pawan Kalyan’s Atharintiki daredi facing problems with Chennai Express. Sharukh Khan’s Chennai Express scheduled for August 8th release. Most of the screens in Overseas blocked by Chennai Express, as we know , Sharukh Khan is said to be King of Overseas. Sharukh always creates unbeatable records in Overseas countries. Now , AD Overseas distributors Mythree movies requesting producer to postpone for a week.As, Trivikram movies fares very well at USA Box- Office , OS Distributors are not willing to clash with Bollywood biggie. Not only in Oversaes couple of Multiplexs in Hyderabad were blocked for Chennai Express.Mythree movies pressuring AD team for postponement. Yevadu Overseas rights also acquired by them. So its tough to recover huge amount spent on both the movies. Mythree movies bought Yevadu, Ad & Ramayya Vasthavayya for woofing amount. Inspite of Yevadu result , they should sacrifice screens for Atharintiki Daredi In Overseas because of Bollywood Biggie Chennai Express.Mean while Ilayathalapathy’s most awaiting movie ” Thalaiva ” also scheduled for August 9th release. So, with the latest development, it is very difficult for Record Premiers for Atharintiki Daredi in Overseas. Lets see what happens in future. As of now producer confident about 7th release but going by trend its out of question. So Atharintiki daredi may postpone for a week.